Tastes slightly bitter with sweet aftertaste. The Huang Shan Gongju from 1200 Meters High Mountain can be drunk alone or together with other teas. Known as one of the four noble Chinese flowers among plum blossoms, orchids, and bamboo flowers, chrysanthemum is often seen as a poetic theme in China. 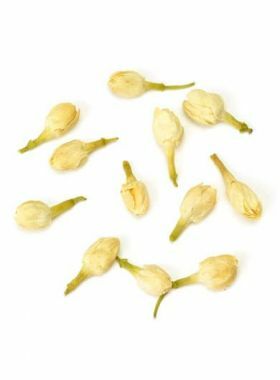 It is a representative flower of the Double Ninth Festival, as well as a prominent part in traditional Chinese medicine. 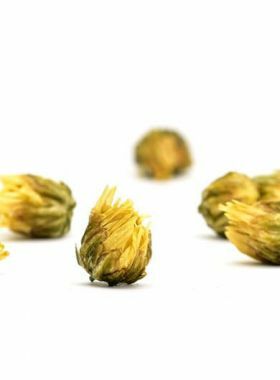 Gongju, short for Huang Shan Dried Chrysanthemum Gongju, is produced in Anhui Province where it is also referred to as Huiju, or Huizhou Gongju. This particular species of chrysanthemum used to be offered as tribute for the emperor, which is actually the implication of the ‘Gong’ in its name. Under the aspect of traditional Chinese medicine, chrysanthemum is cool in character and is renowned as a medicine. It is helpful for reducing heat, improving eyesight, and aiding the body in cleansing toxins. For family use it can be directly infused with water or brewed together with tea, which will enrich the liquid’s flavor and aroma. 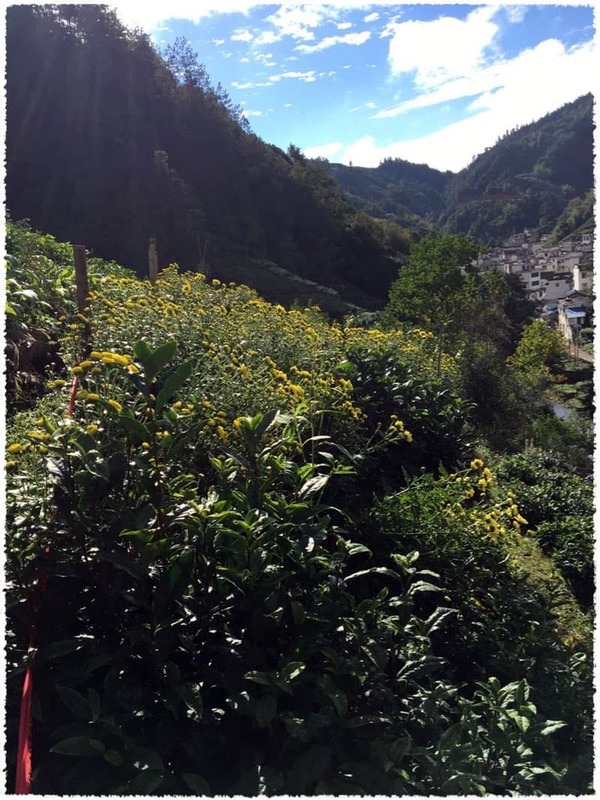 This tea’s origin is in She County at an elevation of around 1200 meters. 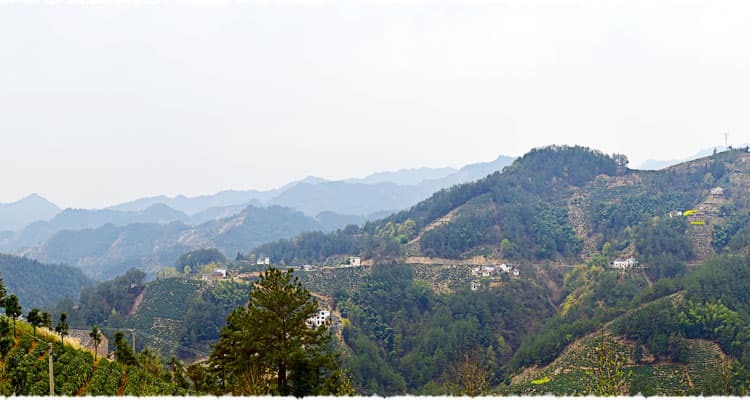 She County is known as Huangshan City’s “Hometown of Tea”, and produces high-quality Huang Shan Mao Feng Green Tea as well as this Gong Ju. Dailin Tea Garden is located in Da Guyun village in Huang Shan. It originally got its name from the surrounding mountains and valleys: this village lies in the remote parts of the high mountains where the air is clean and humid, and the four seasons are distinctly disparate. 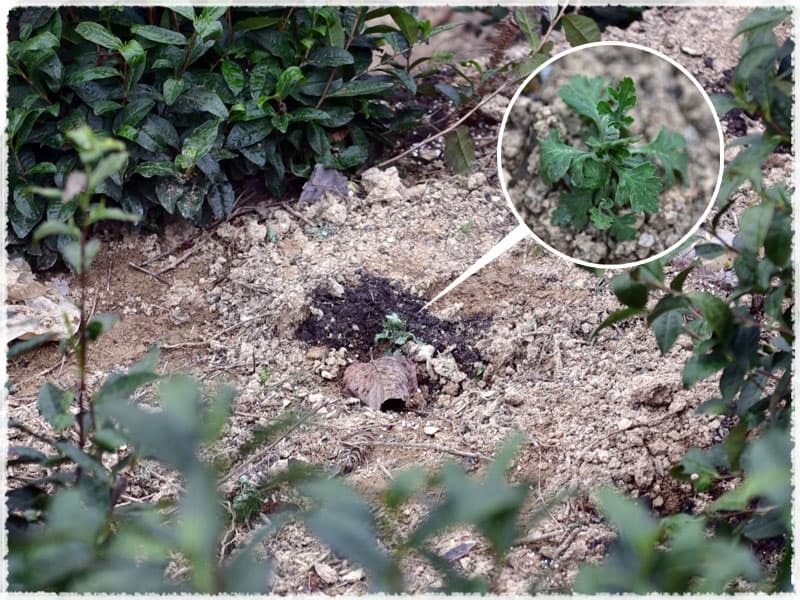 The only crops grown by farmers in this area are tea and chrysanthemums. 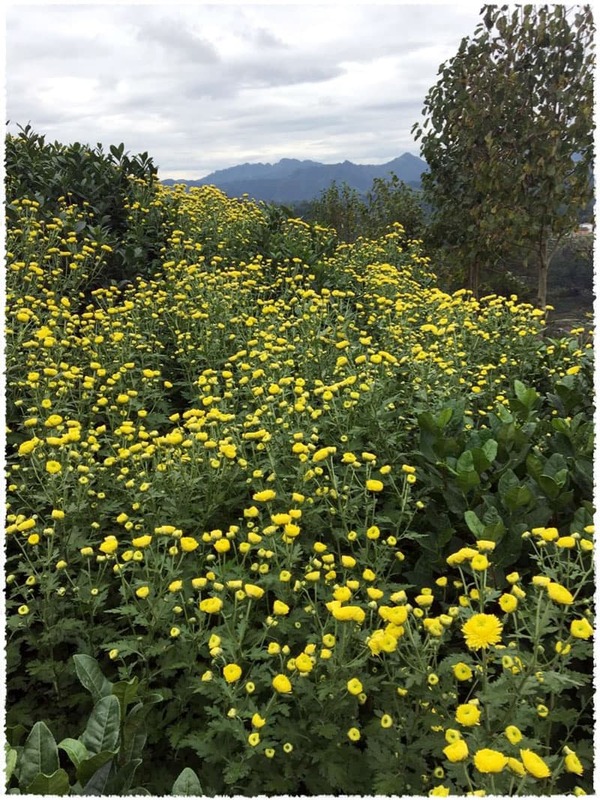 Hillsides covered in wild tea and Chrysanthemum. Mr. Ke, born and raised in a tea village, has been working in the industry for over forty years. He started off early in his childhood by following his parents while they harvested tea, and from then on aspired to be an excellent tea maker. He started to officially learn the craft when he turned fifteen, and quickly mastered the traditional skill of making Huang Shan Mao Feng tea. 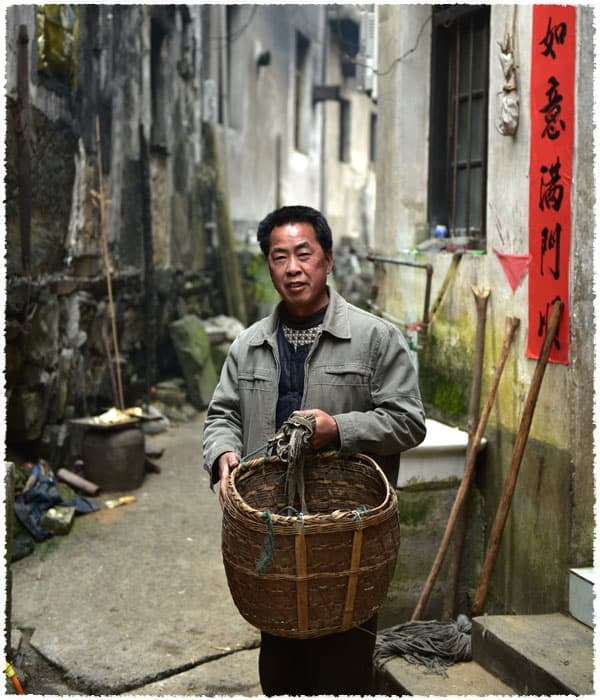 “I will devote my entire life to tea and the culture of the tea village,” he told us. 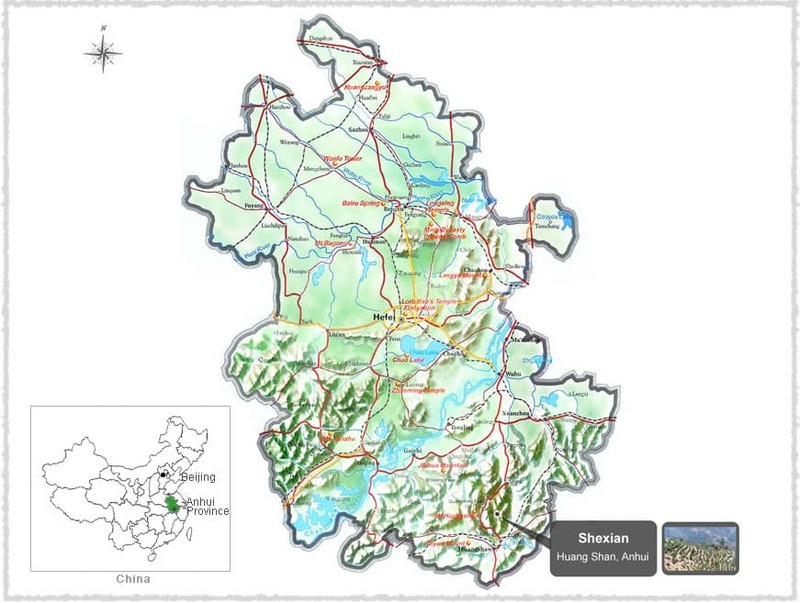 Shexian County (歙县), also known as She County, is a famous historic and cultural city in the southern region of Anhui Province. The county is a part of Huangshan City and covers an area of over 2100 square kilometers. ‘Gong’ generally refers to the tradition of paying tribute to an emperor. 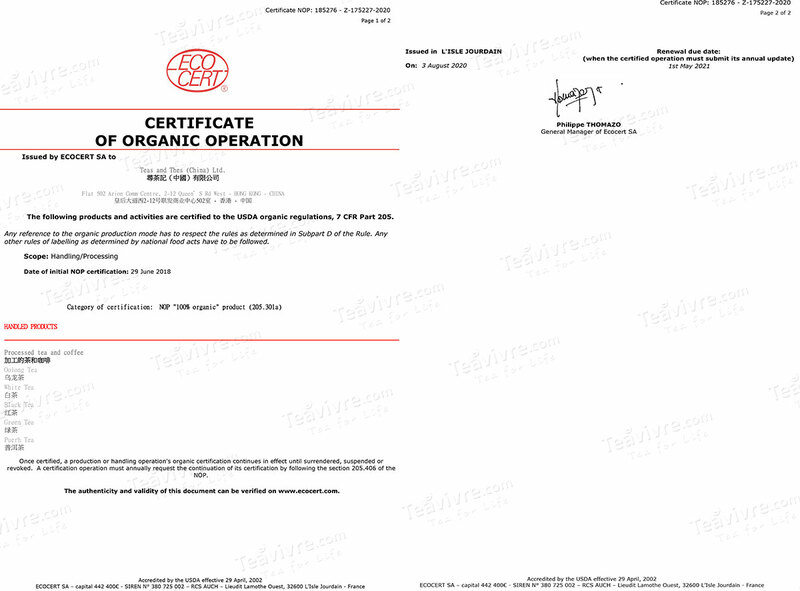 These tributes in question are referred to of gong ping, which must be both well-known and of the highest quality. It is said that during the Qing Dynasty, an epidemic of pinkeye once broke out in the palace of the Forbidden City, with none of the doctors being able to find a reliable cure for the problem. At this time, the governor of Huizhou presented Huizhou Gongju to the emperor, where patients were asked to infuse the dried flowers and drink the liquid and wash their eyes with the liquid… and soon the epidemic in the city was conquered. 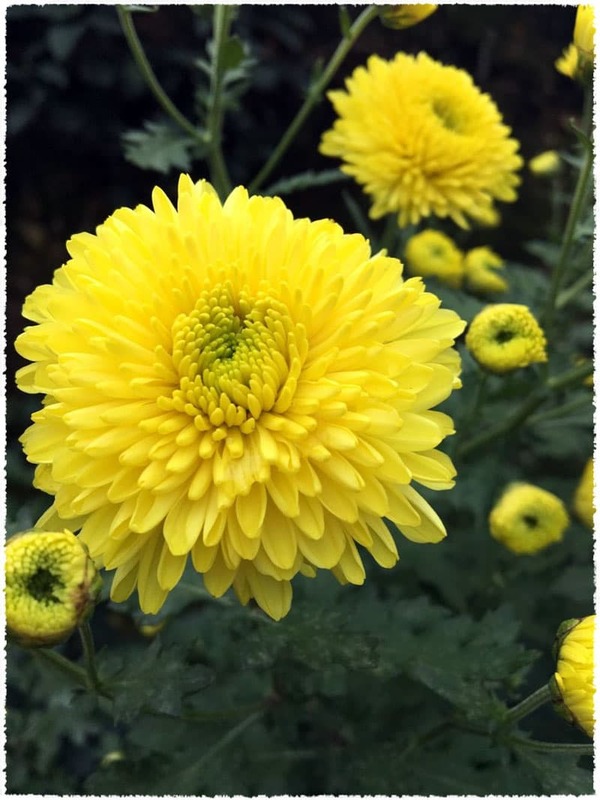 As a result, the Huizhou chrysanthemum came to be nationally renowned, and became ordered as tribute by the Emperor himself.